Summary: The true wild apple, native to Kazakhstan. Identification: Fruit grows to about seven centimetres in diameter, about the size of many medium apples. Round. The base colour is green over which is a yellowish blush. The stem is slender and moderately long, set in a shallow pleated cavity. The calyx is proportionately large and partly open, set in a very shallow or no basin. 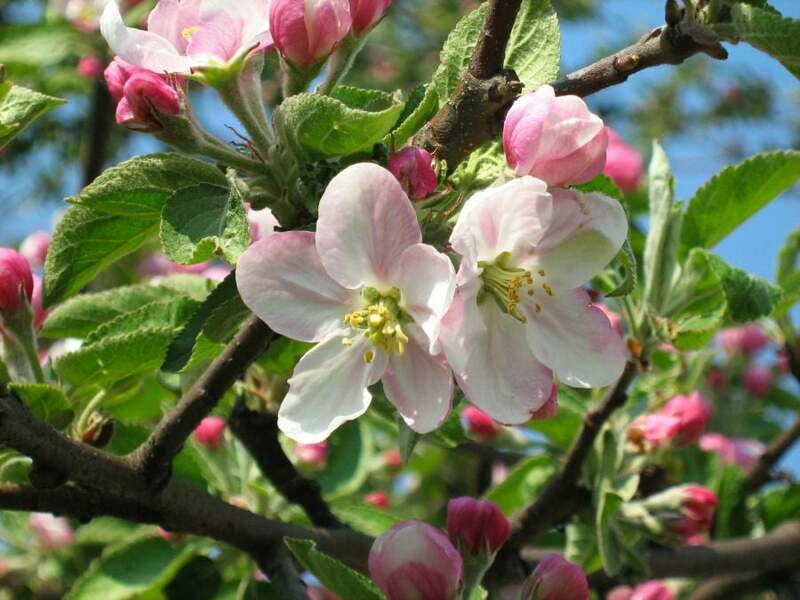 Origins: Malus sieversii originated in mountains of Central Asia and was likely spread westward to Europe via the silk trade. In its native form and native range, Malus sieversii's continued survival is listed as vulnerable with the threat of extinction in its native range. It is however, cultivated on most continents. Cultivation: Can grow to 12 metres, though most often seen around five metres. Notes: Scientists have long wanted to know and have, for years, argued vehemently about the ancestor of the modern, domesticated apple. 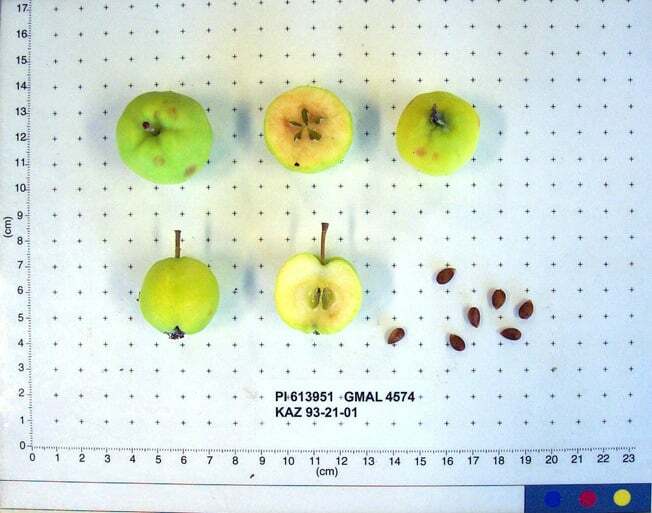 Thanks to DNA analysis, the question is now settled: Malus sieversii, native to the mountains of southern Kazakhstan, is the wild ancestor of Malus pumila, the basic building block of almost all apples. Vulnerabilities: Small or no susceptibility to most disease. Harvest: Can be harvested in the last half of the fourth period.